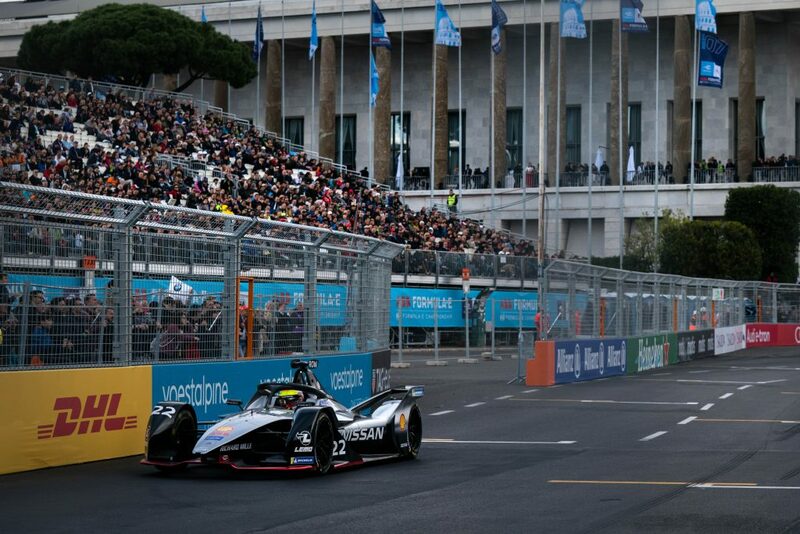 Nissan has begun the European leg of the all-electric ABB FIA Formula E street racing championship in Italy with a strong points haul in Rome for Sebastien Buemi and Oliver Rowland. 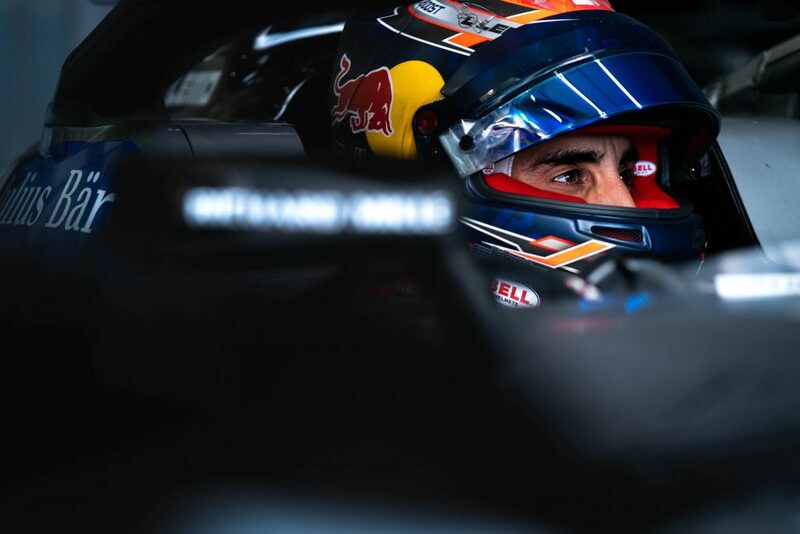 Swiss racer Buemi crossed the finish line in fifth place with Rowland just behind in sixth as Nissan scored points with both drivers for the second race in a row. Nissan e.dams is also one of only two teams to have both cars finish in the top ten today. 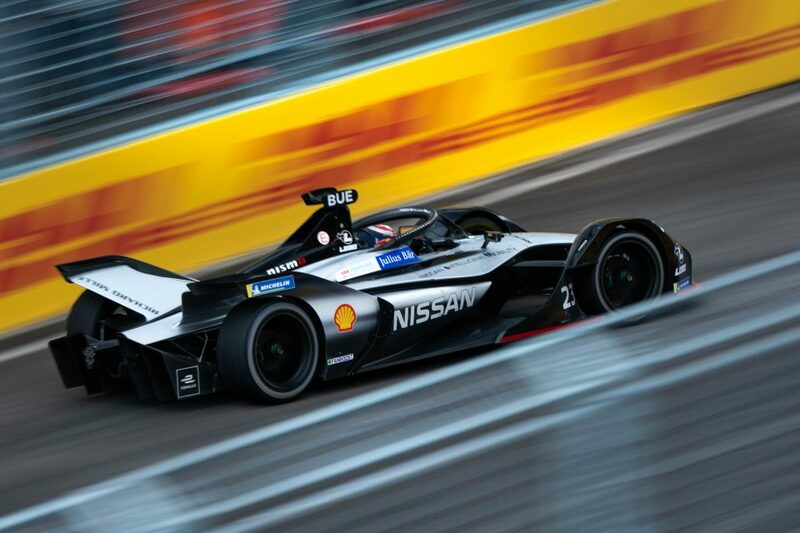 Formula E is being used by Nissan to demonstrate the power and performance of its electric vehicle technology – a key part of the company’s Nissan Intelligent Mobility vision. 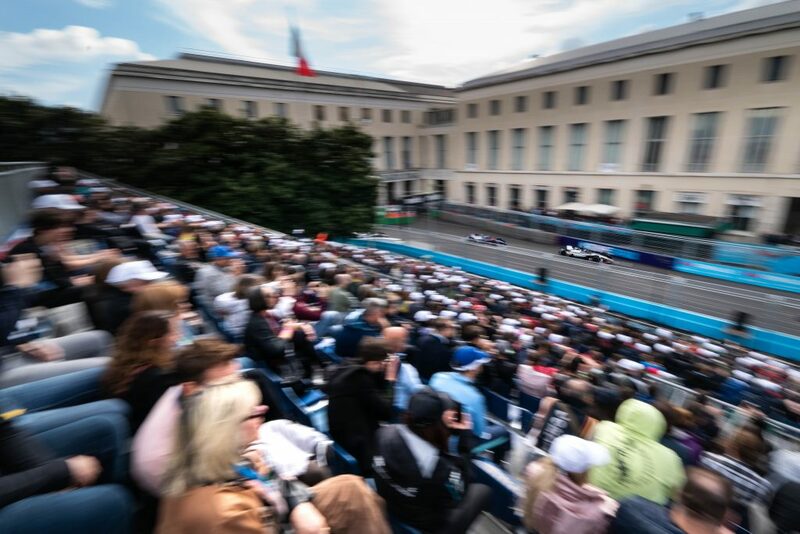 With the Nissan LEAF taking the crown as Europe’s best-selling electric car in 2018 – Nissan Italy interacted with local fans today at the Rome E-Prix with the debut of the Nissan Formula E fan experience simulator in the e-village. Despite some misfortune in qualifying, after today Nissan remains the only brand to have scored two pole positions in the highly competitive season five of Formula E – in fact, Nissan is one of only four teams in championship’s history to have both of its drivers start on pole in a single season. Rowland’s second shot at scoring pole this season was ruined by a tap with the wall during his qualifying run. The damage hindered his pace, forcing him to start the race from 10th on the grid. Buemi made it through to Super Pole qualifying again, but a brief rain shower just as his car hit the track ruined his run. All his Super Pole rivals were able to enjoy a drying track which resulted in faster times. In the race, both Nissan e.dams’ drivers made great starts – Buemi jumping from sixth to fourth and Rowland from 10th to sixth. A red flag delayed their progress after the opening lap, but once the race went green, both Nissan e.dams drivers showed good pace but were unable to move through the pack. For the third time this season, both drivers finished in the points at the checkered flag. Remarkably, season five of the Formula E championship has had seven different race winners from different manufacturers in seven races. 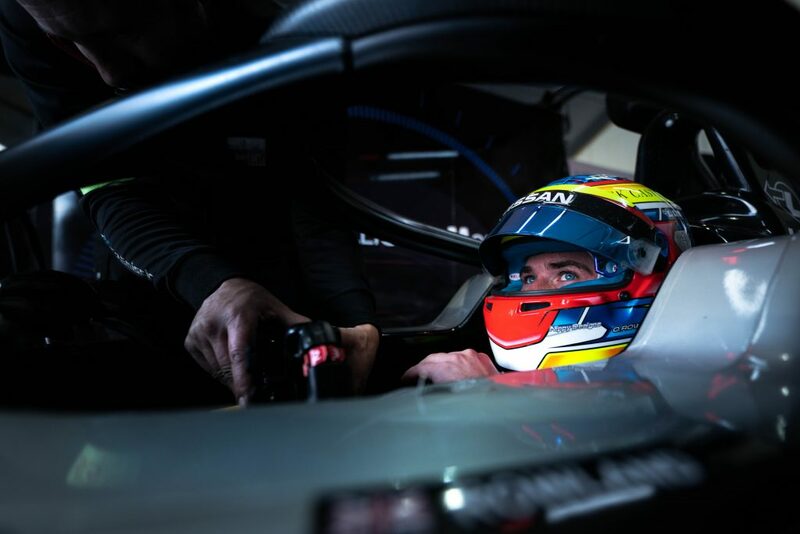 “Today was a solid points day, but we’ll go away and continue to do our homework to try to improve our pace,” Nissan global motorsports director, Michael Carcamo said. “We were a bit unfortunate in qualifying, and that probably made the difference today between solid points and podiums. The upcoming Paris event on April 27 will be followed by races in Monte Carlo, Monaco; Berlin, German and Bern, Switzerland before heading to the USA for the final double-header weekend in New York. “We knew this championship was going to be insanely competitive with the new “Gen2” car, but this season has been quite remarkable,” said Nissan e.dams team principal, Jean-Paul Driot. “We wanted a bit more today, but fifth and sixth was good for our championship points. Somehow, we weren’t quite as competitive as the previous race in China. “The positive I’m taking out of today was I made it through to Super Pole again and finished P5 – it could definitely be worse. I was unlucky with the rain in Super Pole, but that’s how it goes sometimes. “When we get to Paris, it would be great to make it eight for eight and join the race winners, but I just have to concentrate and do my job. I think we have a very good package and we just have to keep fighting. “I was fastest in the opening practice session, and fourth in the second so qualifying was a little disappointing. I tagged the wall out of turn two, and the car was damaged. Luckily, I was able to squeeze out a lap which put me P10 for the race. “I made a good start and was up to sixth early. I was fortunate that I didn’t have a lot of pressure from behind, so that was nice. I was able to try a few things during the race and work on energy management which left me with the most available power for the finish.